Best Dog Food for Irish Wolfhounds, the Gentle Giants! » Best Dog Food for Irish Wolfhounds, the Gentle Giants! The Irish Wolfhound has a formidable, imposing size and is a natural born hunter. It's hard not to stare and be in awe of this dog! Given their large size, nutrition is key to them leading a long and healthy life. The Irish Wolfhound expends more energy than any other dog breed and this has a direct link to the amount and quality of food it needs to supply the energy and other nutrients. We've put together a short guide of recommendations for some really great dog foods for your Wolfhound and a nutrition guide. Check it out! Like many other dog breeds, the size of your Wolfhound, its activity level, and its age play an important role in determining the amount of food it will consume in a day. To provide the right diet, you need to first establish the amount of food the dog needs, then ensure that you have the right interval for feeding the dog. For the right quality of food mix raw natural foods such as meaty bones and high-quality commercial dog food brands such as Blue Freedom and Natural Balance. Intelligent, sweet-tempered, noble, energetic and patient. Prone to Bone Cancer, Canine Hip Dysplasia, Elbow Dysplasia, Cardiomyopathy and dog bloat. What to Food to Feed an Irish Wolfhound? Like all canine and feline animals, the Irish Wolfhound will thrive on a raw diet. Feeding your dog a diet of raw meat, vegetables and bones will help provide all the important nutrients it requires and reduce the chances of chronic illness developing. You can enrich this diet with high-quality commercial brands with lean meats to supplement the missing nutrients or those lost through the cooking process so as to keep your dog healthy at all times. Did you know the Irish Wolfhound is the tallest dog in the world? Tall is no exaggeration, an adult male can stand 32 to 34 inches at the shoulder and easily weigh 120-150 pounds. The size of your dog, its age and health condition should be critical in determining the right formula of food to cater for the specific nutritional needs of the dog. Working with a trained veterinarian can help find the best diet for your Irish Wolfhound so that you can keep him healthy and increase his lifespan. How Often and How Much Food to feed an Irish Wolfhound? The age of your Irish Wolfhound is important in determining the interval at which he should be fed. A puppy of about 8 to 12 weeks should be fed 4 times a day, those between 3 and 6 months should be fed three times a day, while those above six months should be fed only twice a day. Feeding your dog several smaller meals a day is far better than giving him a single heavy meal as it helps prevent bloating in addition to aiding in the digestion and absorption of nutrients. The key here is to determine the amount of food the dog needs in a day then spread it over several light meals within the day. If you are used to rearing smaller dogs, then you may be tempted to think that your Irish Wolfhound will eat you someday especially while it still growing. (Hehe!) But once the dog becomes mature his need for food stabilizes. Like all other pets, some Irish Wolfhound puppies eat a colossal amount of food while others are picky eaters. It is important you understand this so that you don't overfeed them. For puppies of between 8 and 14 weeks, you may start with between 4-8 cups of feeds a day but you need to observe your pet so that you can determine its exact appetite. For adults depending on the size and activity level of your Irish Wolfhound, you can expect to feed between 450g and 850g of high-quality dry food a day. Chocolate has the chemical theobromine which stimulates the central nervous system and the myocardium which often brings about poisoning symptoms such as convulsions, cardiac effects, and tremors in dogs. The theobromine chemical stays longer in the pets system and thus is quite harmful to the animal. All fruits that contain a high amount of tanning and high fructose content such as the above fruits are toxic to canines. Feeding your Irish Wolfhound on these fruits risks poisoning your pet and this can increase the expenses of taking care of your dog. Beverages that contain caffeine are also toxic to your pet and should not be given to your Irish Wolfhound. This means that you should not give your dog any food that contains caffeine. Irish Wolfhounds are large sight hounds that are known for being very tall and muscular. They are also known for having very unique personalities. Irish Wolfhound owners know that they are relatively quiet, intelligent dogs that create strong bonds with their families and make good guard dogs. To maintain optimal health, it is suggested that this breed be fed a low-protein adult dog food. 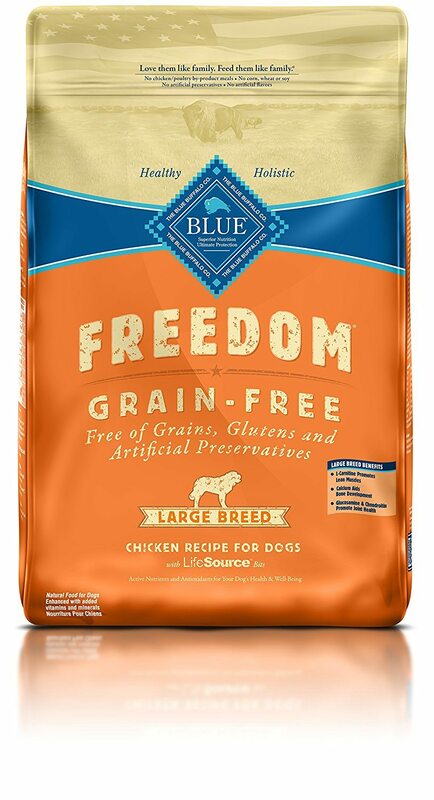 Buffalo Blue Freedom Large Breed Grain-Free is a dry adult dog food made using a holistic approach to your pet’s health. This recipe is made using fresh, deboned chicken and other natural ingredients including flaxseed for skin and coat health, potatoes, carrots, cranberries, and more. Buffalo Blue is also fortified with glucosamine and chondroitin to support joint health, which is important for larger dog breeds like the Irish Wolfhound. This dog food brand is made in the USA and is free from grain, corn, wheat, soy, or chicken by-products. Buffalo Blue also includes Taurine for heart health, LifeSource Bits to promote a healthy immune system, high-quality protein and L-Carnitine for lean muscle development. Irish Wolfhounds do well on Blue Freedom - coat is healthy and soft, no digestion issues since it doesn’t contain any fillers associated with cheaper dog food brands and pups just love the taste of it. 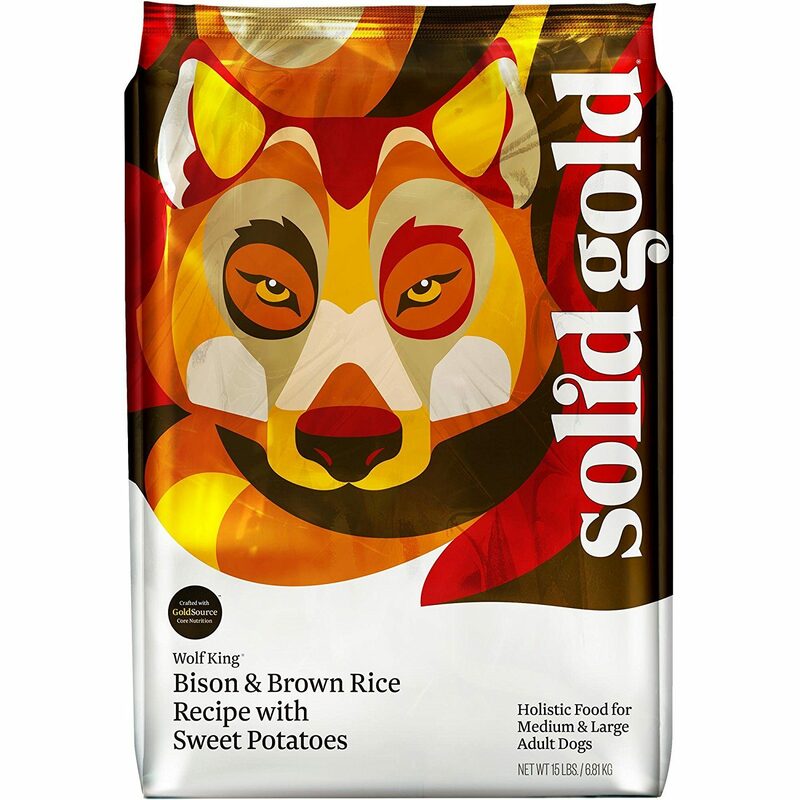 Solid Gold Wolf King Adult Dry Dog Food uses lean, fresh bison as it’s main ingredient. This solid Gold Blend was designed with the only best ingredients and a blend of 20 Superfoods to improve pet's muscles, digestion, and maintain a healthy skin and coat. Some of the ingredients in the superfoods blend include: pumpkin, cranberries, broccoli, almond oil, and kelp. Solid Gold is an American company with over 40 years of experience developing pet food that dogs and owners love. This kibble is a filling blend for large dogs like the Irish Wolfhound, and owners can feel great feeding it to their pets because it doesn't contain any animal by-product. This vet recommended brand helps improve a dog's digestion problems. Since Solid Gold uses high quality, natural ingredients, this formula also makes a good choice for Wolfhounds with allergies. Other dog owners have seen their dog’s coats get much softer and shinier after switching to Solid Gold - a testament to the quality of the ingredients used in this blend. 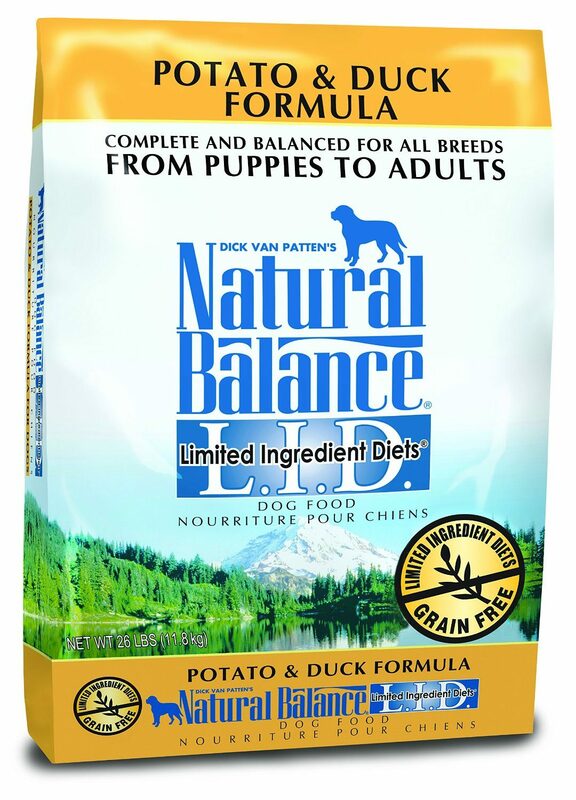 N﻿atural Balance Limited Ingredient D﻿iet dry dog formula is a grain free option appealing best to an Irish Wolfhound with sensitivities. This is a gr﻿﻿eat choice for do﻿﻿gs with allergies, since duck is specifically used in this blend as a rare source of protein for your dog that will help boost his immune system. You can be confident feeding your dog Natural Balance because they guarantee that their dry dog food contains no artificial preservatives, colors, or flavors. This limited ingredient formula uses Canola oil as a mono unsaturated fat to help keep your dog's skin and coat shiny. Natural Balance has also included mixed tocopherols to prevent dogs from getting eye diseases and Taurine for heart health. Customers like buying Natural Balance for their dogs, especially if they own multiple dogs with different health issues. You can feed this blend to a dog with allergies, skin problems, digestion problems, or a perfectly healthy dog and you'll see that they love it and do well on it. This brand is trusted and vet recommended with stellar reviews. You’ll also be glad to know that this recipe meets a large size adult Irish Wolfhounds' nutritional requirements as well as a growing puppy. So, What is the Best Dry Dog Food for Irish Wolfhounds? 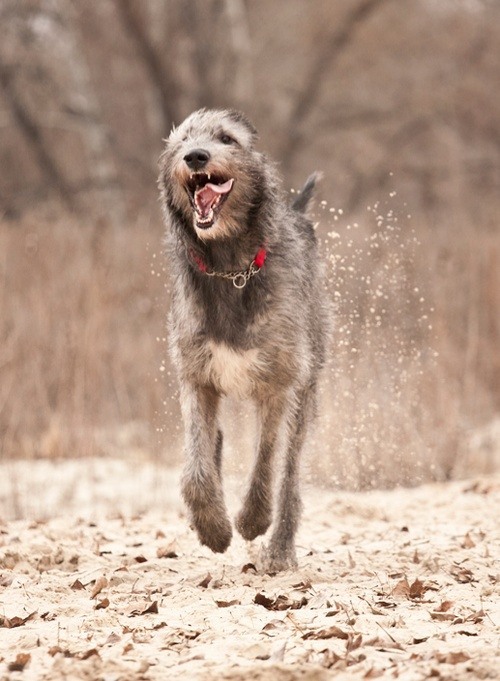 Irish Wolfhounds are great companions, so their owners want to give them the best. Natural Balance, Blue Buffalo, and Solid Gold are three of the top vet recommended dog for brands for this breed. All of these dry kibble brands use healthy ingredients and are specifically blended to fit your pup's large breed characteristics, are great for picky eaters who seek palatable yet healthy recipes and use dense-rich nutrients and low-glycemic and carbs and veggies to help keep up with your dog's overall energy levels.